ABC’s Dallas affiliate WFAA channel 8, recently quoted David Sloane after he offered his stirring support for a bill that would decriminalize marijuana across the state before the Texas House of Representatives. The author of the story Kevin Reece was reporting on the decision by the Texas Police Chiefs Association (TPCA) to release a report condemning HB 63, a bill that would make possession of less than an ounce of cannabis a misdemeanor offense with no threat of incarceration or having the arrest appear on a person’s criminal record. 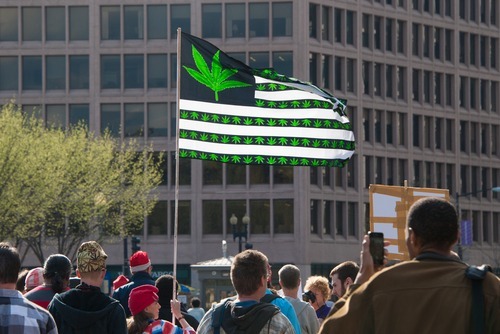 The report by the TPCA, called “The Impact of Marijuana Legalization on State and Local Governments and Communities,” cites statistics that it says shows that marijuana is a harmful drug that will impede police work. Reece says that the TPCA believes that legalizing marijuana will make seizures of illegal weapons and other dangerous drugs harder since those seizures usually come in conjunction with marijuana busts. HB 63 does not legalize marijuana, however, it simply lessens the level of offense and the punishment for being caught with the drug. The goal of the legislation being to keep people using the drug, who are no danger to the public, from facing unjust prison sentences for simply using the drug recreationally. As a counterpoint to Chief Dye, Reece interviewed David Sloane who did not mince words. “You’ve got lies, you’ve got damn lies and you’ve got statistics.” Sloane pointed to statistics by the Colorado Department of Public Safety that showed that youth usage of marijuana had not increased in the state after legalization but had actually plummeted to the lowest rate it had been since 2007/2008. HB 63 is only the first marijuana related bill to be heard before legislative committees this session and assuredly David Sloane will continue leading the charge to end the prohibition on cannabis in the state of Texas.